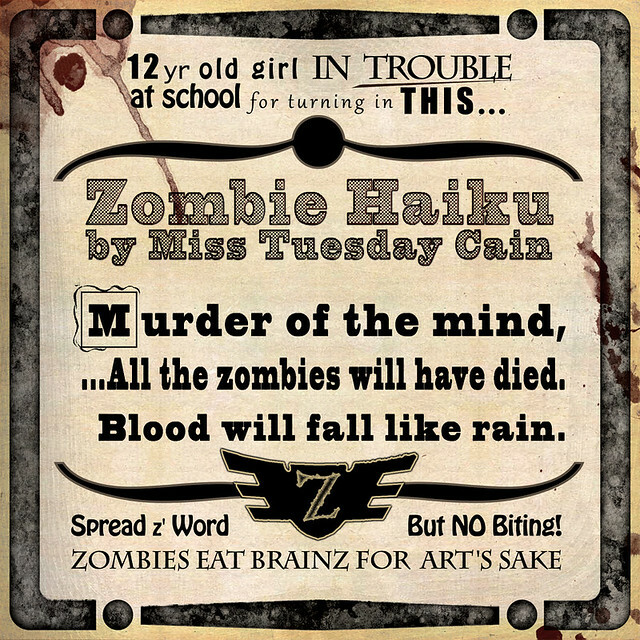 It's been months since Miss Tuesday Cain first got into trouble at school for turning in her "Zombie Haiku" as homework. What's changed? Gaea Qandromeda, who first turned me onto Tuesday's poem, has written her own tribute article explaining how all this happened. It's a fun and insightful diatribe that shouldn't be missed. Check it: Tribute Post: "Zombie Haiku" by Miss Tuesday Cain. Also, Ryan Mecum, the author of the book "Zombie Haiku", has supported Tuesday... going so far as comparing her to Stephen King. Thank you Ryan! You're a rock star... in that lurching "please don't bite me" kinda way. One of the better discussion threads about the haiku was lead by Ziki [Here on deviantART]. Ever so slowly (rather zombie-like), the haiku is still spreading. The name Miss Tuesday Cain has certainly become a fixture on Google. If you'd like to help spread Tuesday's poem and story even farther, then read the original entry. Be sure to leave a link in the comments if you spread her story online. Afterall, we need to track the spread of the virus. Now, let's talk Punk... Daft Punk. 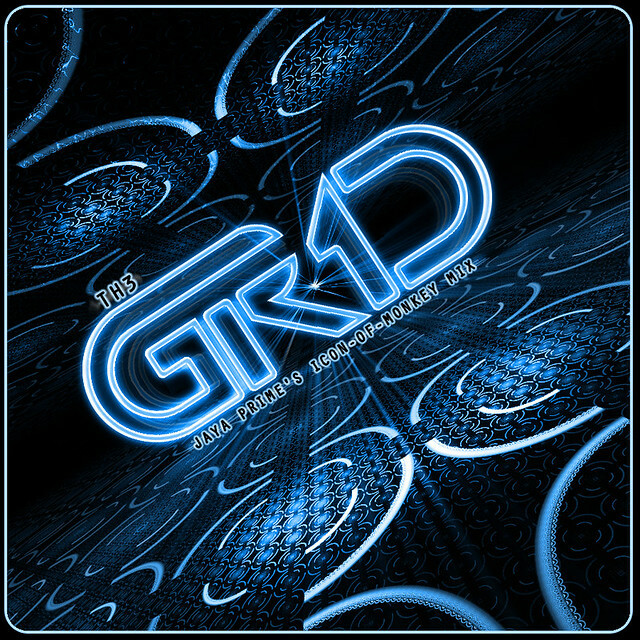 I posted a request back in May asking peeps to help vote on my remix in Disney's "Tron: Legacy" competition. It was easily the most difficult competition I've ever been a part of. Frakking THANK YOU to everyone who voted!!!! And how'd it turn out? Out of 891 remixes, my remix finished at #11 in the world. Thank you! For anyone who missed it, it's up for free download (along with the rest of my music) [Here on SoundCloud]. Have no idea what's going on? Here's some shinies to look at. Ooh, look! Shiny!